Florida is home to five owl species, with a few other species as visitors from time to time. The smallest of our resident species, the Eastern Screech Owl, Megascops asio is just now beginning its nesting season in Central Florida. You will often hear its descending whistle call before you actually spot the 7-10 inch owl as they are very well camouflaged animals. Listen here. 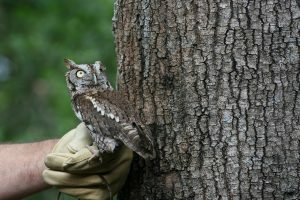 The Eastern Screech Owl is found throughout Florida in a wide variety of habitats from swamps to pine and oak forests, and urban and suburban areas. The tricky part about spotting Screech Owls is their feather pattern makes them very good at blending in with their surroundings. But, if you have a snag (standing, dead tree) in your yard or somewhere nearby, look for a large, circular hole, about three inches in size. If you find a tree with a cavity like this, it might be a woodpecker nest, or it could be the home of a Screech Owl! These birds of prey are great to have around because they feed on things like insects, rodents, and reptiles. They are also known for preying on other, smaller songbirds. While hunting is normally done by both the male and female, during nesting the females focus on incubating 2-6, small, white, round eggs, while the male catches food and brings it back to the nest. After four to five weeks, the eggs will hatch and both parents will care for the young until they are ready to go off on their own (after about three to four months). Screech Owls aren’t too picky when it comes to nesting habitat, but as natural areas are converted for development, their nesting options become limited. 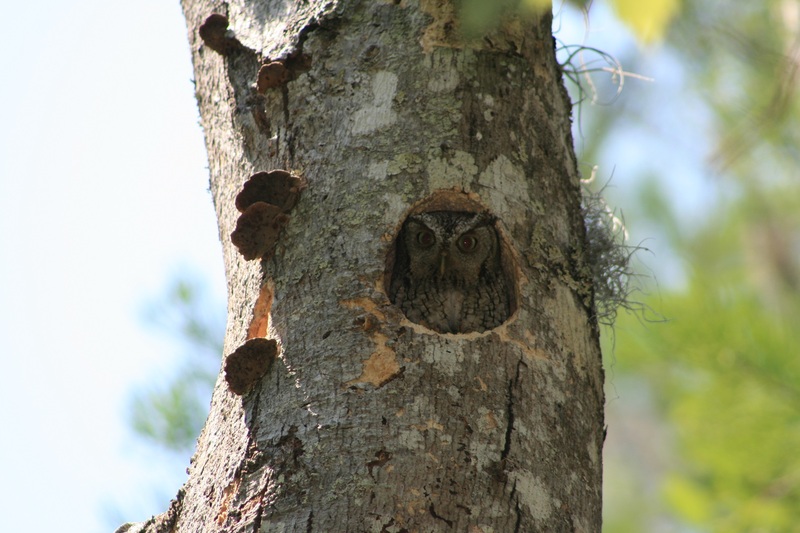 This is a cause for concern because Screech Owls are secondary cavity-nesting birds, meaning they depend on other species or Mother Nature to create a nesting hole for them. Species like woodpeckers and squirrels will sometimes create these cavities, or fungus and the natural rotting process of old and dying wood will create the perfect hollow for Screech Owls to nest. Nesting habitat is thus limited by the number of tree cavities they can find that meet their needs. If you want to help out this cute little owl, you have a few options. Provide a snag in your yard by leaving a dead or dying tree standing. Even a snag as short as 15 feet will provide potential nesting habitat. At the least, woodpeckers will love it! 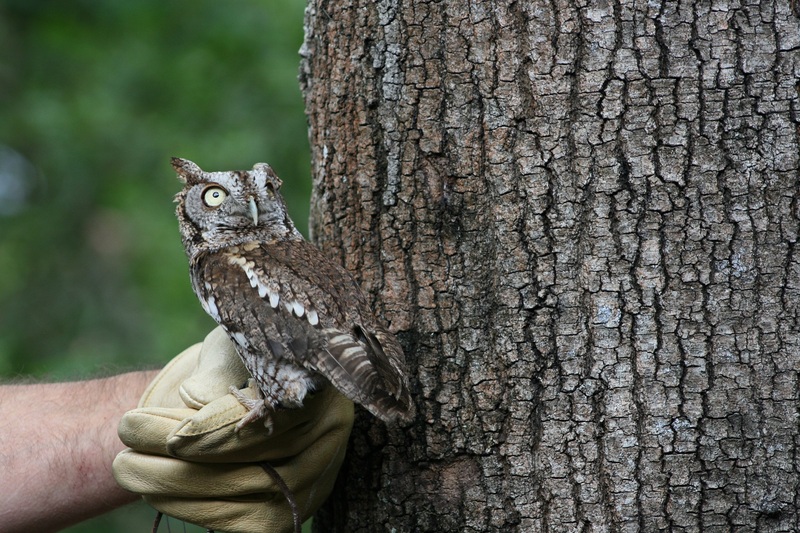 Consider supporting a conservation organization that helps protect Screech Owl habitat. It’s always important to do your research before you donate to any organization.